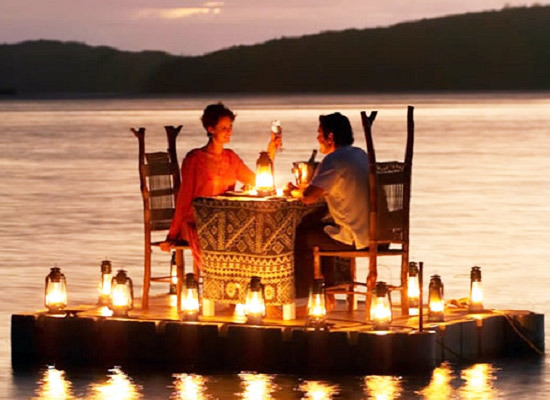 The royal state of Rajasthan is quite popular all across for offering memorable experiences to a honeymooning couple. Every year this place is visited by a huge number of newly-wedded couples. 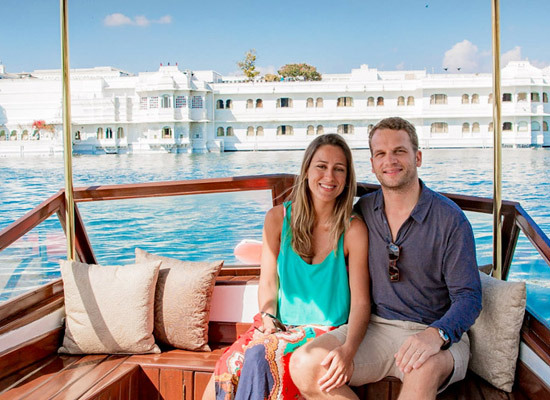 If both of you share the same interests in royalty, heritage and history, opt for the well-planned Rajasthan Honeymoon Tour by Heritage Hotels of India. 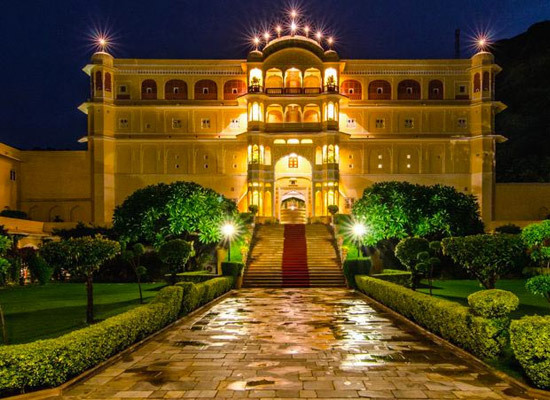 Enjoy a visit to the popular destinations of Rajasthan such as Samode, Jaipur and Udaipur, along with other wonderful cities like Delhi (the national capital) and Agra (the Mughal city). 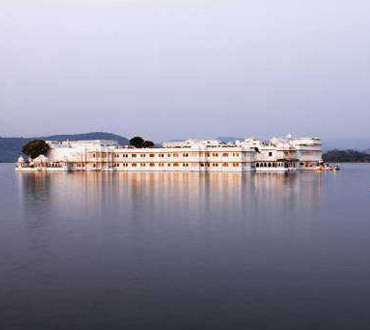 Some of the highlights include visit to Taj Mahal-the symbol of love, romantic boat ride in Lake Pichola and so on. 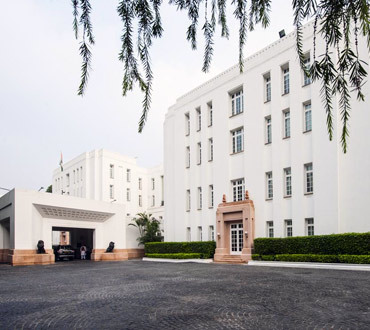 On arriving at the Delhi Airport, meet our tour representative who helps you with an assisted transfer to the hotel. Complete the check-in formalities. If time permit and energy permit, today you can explore the national capital on your own. The day is scheduled for a city tour of Delhi. First you explore Old Delhi, which was earlier known as Shahjahanabad. Visit the mesmerizing Jama Masjid, one of the largest mosques in Asia. Thereafter, hop into a rickshaw with your partner and enjoy a ride through the bustling Chandni Chowk bazaar. The next attractions is Raj Ghat, the memorial of the Father of the Nation- Mahatama Gandhi. After lunch, continue sightseeing and arrive at the India Gate. Then explore the UNESCO World Heritage Sites of the Humayun's Tomb and the Qutub Minar Complex. In the evening, both of you enjoy a Sound and Light Show at the Red Fort. On day 3, post breakfast, the road journey to Agra starts. On arriving, proceed to the hotel and complete the check-in. 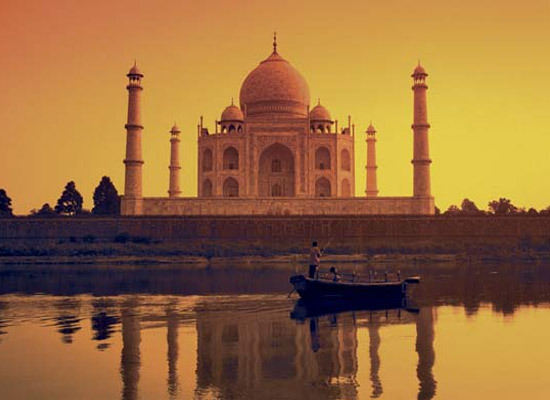 Freshen-up and get ready for a city tour of Agra including the World Wonder of Taj Mahal. Hold hand-in-hand and gaze at this symbol of love. This white marble mausoleum was built by Mughal Emperor Shah Jahan in the memory of his beloved wife Mumtaz Mahal. 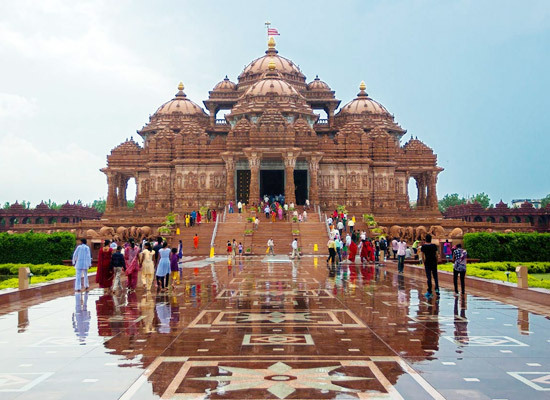 The other attractions that you visit today including the UNESCO World Heritage Site of Agra Fort, Akbar's tomb and Tomb of Itmad-Ud-Daulah, also called the 'Jewel Box'. In the morning, after breakfast, start you road journey to Samode. On the way, halt for visiting the UNESCO World Heritage Site of Fatehpur Sikri, the erstwhile Mughal capital, which was deserted due to shortage of water. 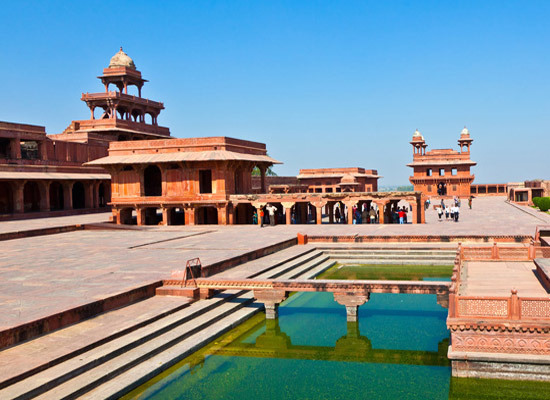 The palace complex was commissioned by Emperor Akbar and has various wonderful structures in its boundaries. Later, continue your journey to Samode. Check into a hotel. The rest of the day is at leisure. You both can either explore the place on your own or can relax in your rooms. 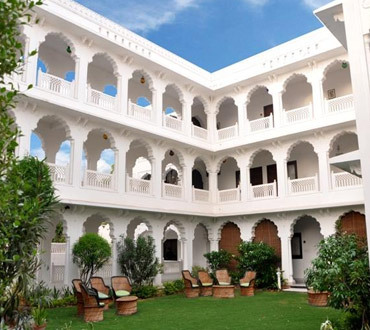 Samode is a peaceful village, which is located quite close to Jaipur, the capital of Rajasthan. After breakfast, day 5 is scheduled for exploring the palatial structures at Samode, telling the tales of the region's love, loyalty and bravery. 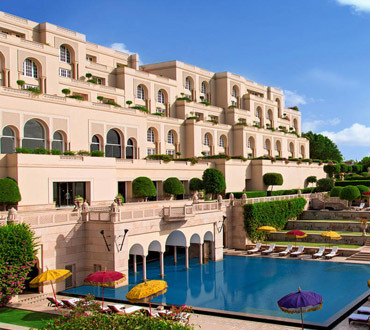 Post lunch, hit the road to the capital city of Rajasthan, Jaipur. Check into the hotel. If time and energy permit, you can explore the vibrant place on your own. Fondly referred to as the Pink City, it is quite popular for its splendid havelis, mighty forts, wonderful palace, lip-smacking food, bustling local bazaars and much more. Post breakfast, in the morning, get ready for exploring Amber Fort or Amer Fort. Around 11 km from the city, it is located on the top of a hill. Enjoy elephant ride up to its entrance. Built in 1592 by Raja Man Singh, it has various amazing structures such as Sila Devi Temple, Jodha Bai's Palace, Ganesh Pol and so on. Now enjoy lunch. 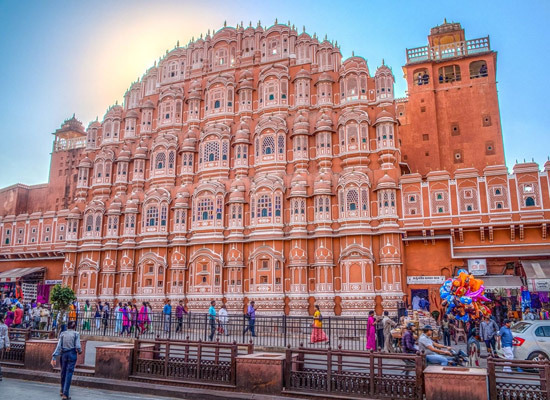 Later, continue sightseeing including Hawa Mahal, or the 'Palace of Winds', the City Palace Complex and the royal observatory Jantar Mantar, a World Heritage Site. In the evening, enjoy a visit to local bazaars where you both can get your hands on some wonderful handicrafts and much more. Today, after breakfast, start driving towards The Lake City of Udaipur. With the lofty Aravalis in the backdrop, it is known to be one of the most romantic cities in India. Move to the hotel and complete the check-in. Rest for some time. In the evening, enjoy a romantic boat ride in the placid waters of Lake Pichola. Post breakfast on day 8, embark on a city tour of Udaipur covering City Palace- it was built over a span of 400 years on the banks of the Lake by several rules of Mewar dynasty, Lake Palace - the pleasure palace of Maharaja Jagat Singh II, it is now a heritage hotel, and Saheliyon ki Bari- a well-maintained garden with marble elephants, a lotus pool, and fountains. The evening is at leisure. You both can indulge in the activities of your interest. In the morning, get an assisted transfer to the airport to board a flight for Delhi. Upon reaching, check into the hotel. The rest of the day is at leisure. You both can indulge in the activities of your interest. You can also head to the popular local markets and shopping malls to shop for each other and for your loved ones back home. Morning of day 10 is free. In the evening, get an assisted transfer to the airport to board a flight for your onward journey.